Remember those days when Snoopy used to be everyone’s favourite beagle? I still remember fondly that I used to collect those Snoopy figurines from MacDonald’s when I was a kid. It was back in 1999 if I recall correctly. 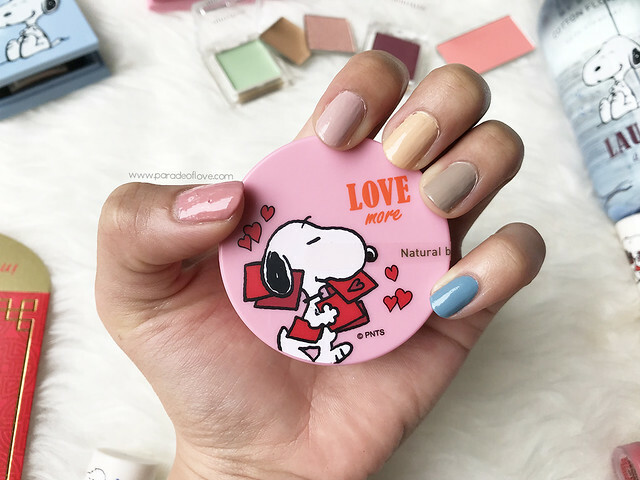 After so many years, Snoopy is BACK! This time, in a beauty collection! 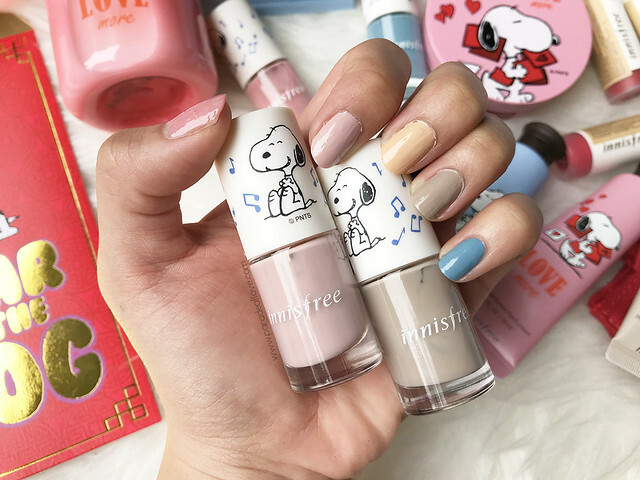 innisfree teams up with Snoopy® to inspire the world to “love more, laugh a lot and dream big” this 2018. 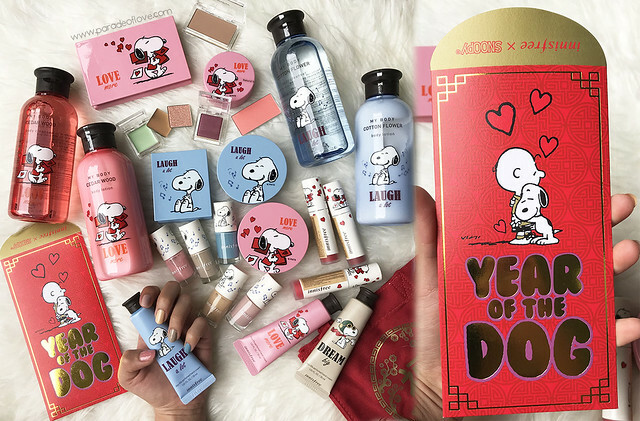 As 2018 is the Lunar Year of the Dog, it’s no wonder beauty brands are coming up with all the doggie collections! 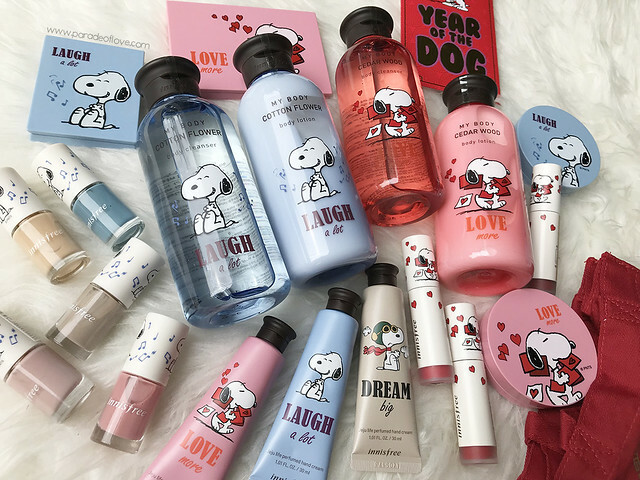 The innisfree x Snoopy® Limited Edition Collection features a myriad of products spanning across various categories such as body, hand, skincare and makeup. 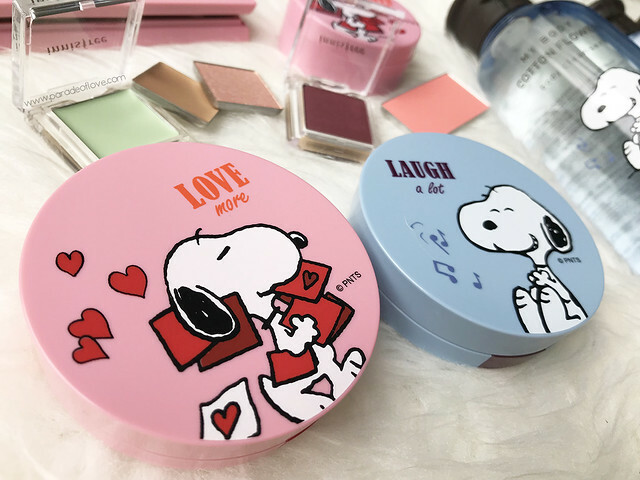 Everything in the collection is stamped with the cute Snoopy® designs which makes all of them such great collectibles, especially for a hoarder like me, HA! Kickstarting the collection with my pick from the range – the Vivid Creamy Tint. 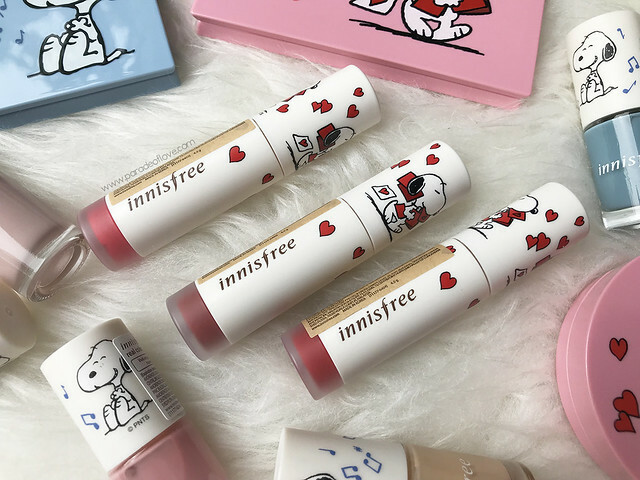 These lip tints are must-try items from innisfree if you haven’t been acquainted with the brand. 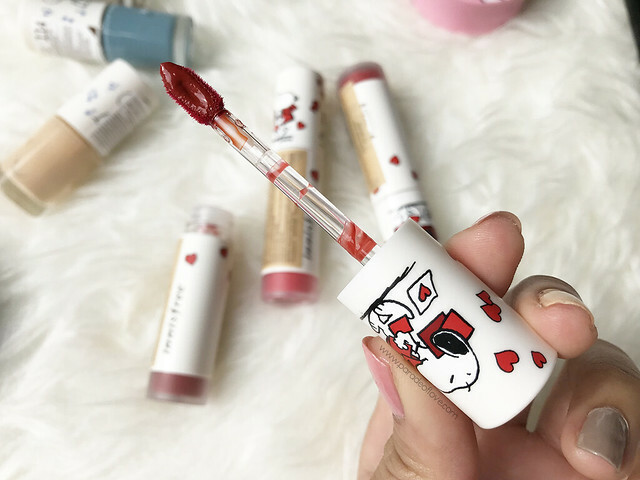 They are one of my favourite lip tints because they are really hydrating and keeps the lips looking plump, soft and vibrant all day. Available in 3 shades (1: a bright pink, 2: a chilli red & 3: a mauvy rose-red). Next up is one you cannot miss. I love having palettes that make my life easier and the innisfree My Palette Cases do just that for me. 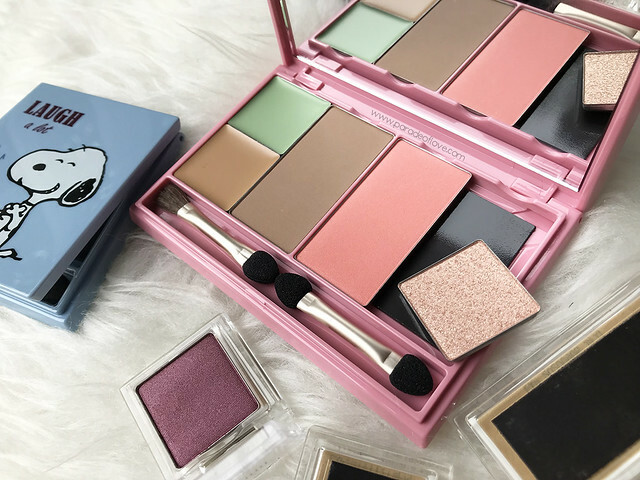 They allow you to create your very own palette with eyeshadows, cheek powders, concealers, colour correctors and even brow powders! It’s super handy to bring along! I just went shopping and customised a palette with some of my essentials for short vacation trips and I love it! 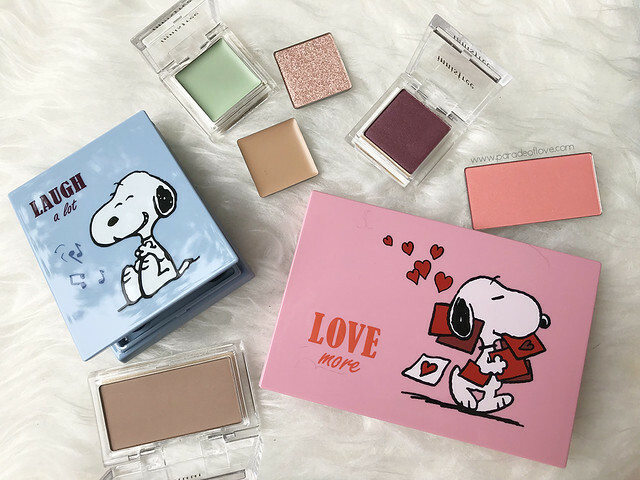 The limited edition My Palette Case featuring Snoopy® is available in small and medium sizes. I don’t think we need any introduction to the innisfree My Cushion. If you haven’t tried, please add that onto your must-try-makeup list for 2018! The collection features 2 My Cushion Cases in pink with “Love more” and blue with “Laugh a Lot”. I personally think they could’ve released the third version with “Dream Big”. It’s a pity they didn’t..
I’ve never tried this but I know many rave about it because it gives a soft and powdery complexion. 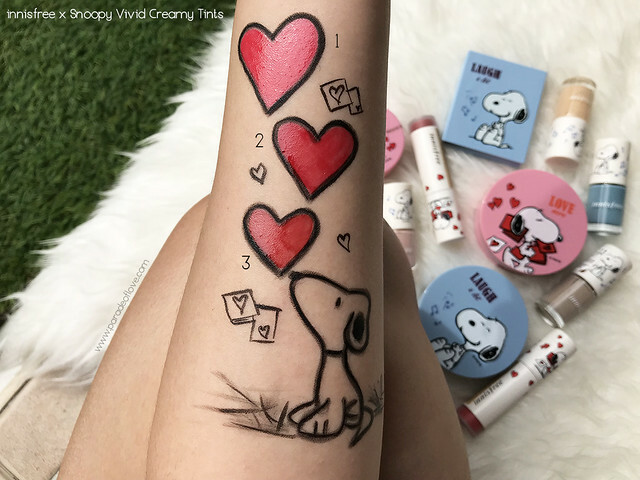 The No Sebum Mineral Powder now has a fresh coat of paint adorned with “Love More” version of Snoopy®. 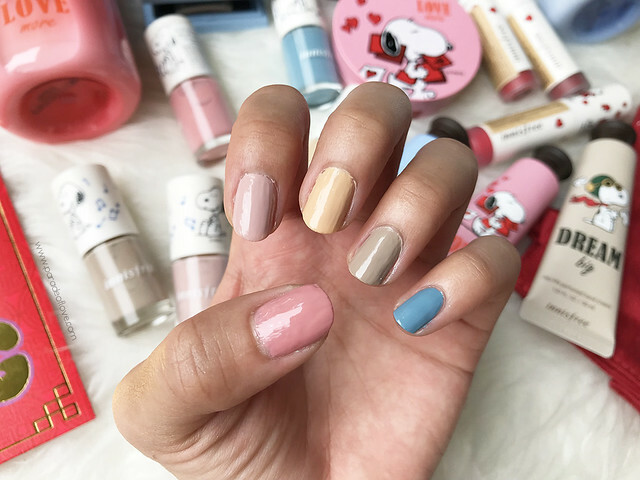 It’s the New Year, why not give your nails a fresh coat of paint? Choose from a selection of 5 vibrant colours from the Real Color Nail polishes. Pastels are so IN right now so these are perfect for you to be in trend! While we are busy dressing up the nails, one cannot forget about pampering the hands! 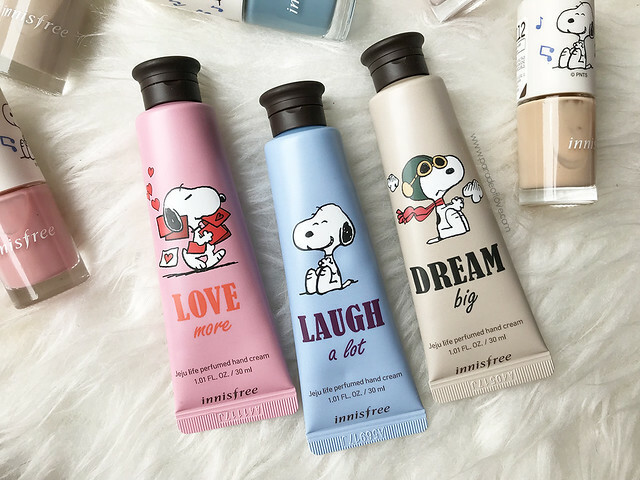 The innisfree x Snoopy® collection also features the Jeju Life Perfumed Hand Cream Set, with a Small Wedding Bouquet Hand Cream, Sunshine Wildberry Hand Cream and Autumn Rain Hand Cream with the cutesy designs. You know you gotta start the New Year right, so start it with a gratifying treat for your body. Cleanse off all the bad luck from the previous year and start afresh with the My Body Cedar Wood/Cotton Flower Sets! The sets contains a Body Cleanser 300ml and Body Lotion 300ml each, with Cedar Wood having a deep refreshing woody fragrance and Cotton Flower a mild and soothing floral scent. 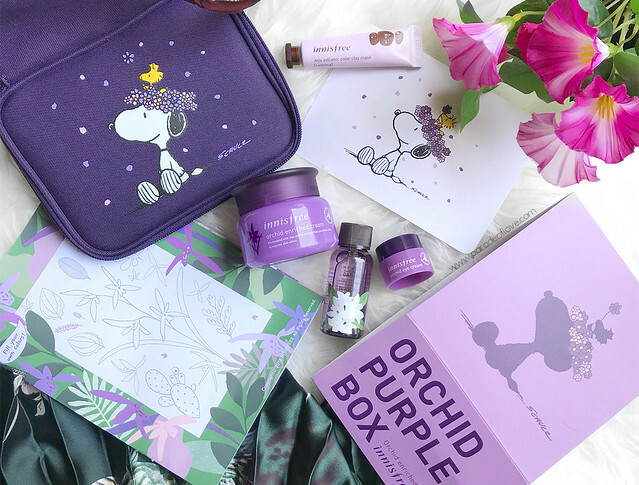 Oh and before I forget, there’s also a cute innisfree x Snoopy® Limited Edition Orchid Purple Box! 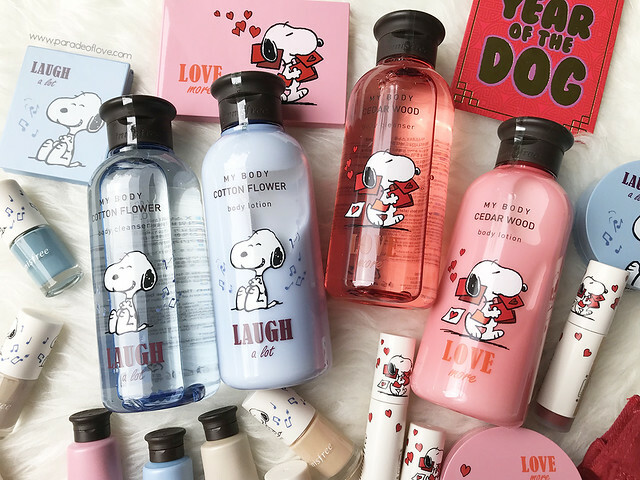 It contains the Orchid Enriched Cream (50ml); Orchid Eye Cream (5ml); My Body Daphne Body Cleanser (30ml) and Jeju Volcanic Color Clay Mask (Calming) (10ml), all neatly packed in an exclusive travel-size beauty bag with Snoopy® printed on the cover. … and will be available in-stores from 15 January – 28 February 2018 or while stocks last. 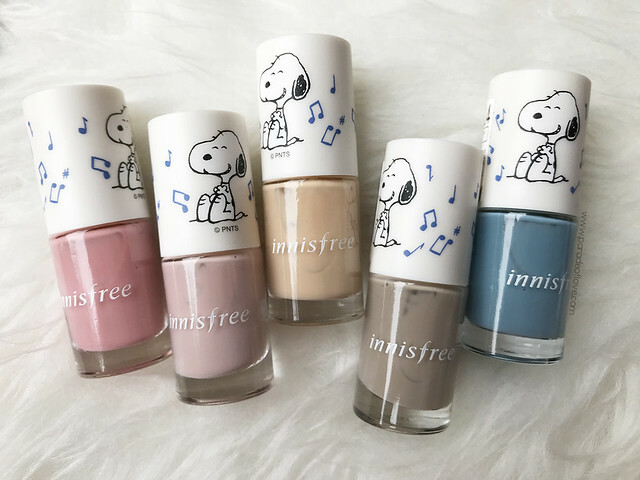 If you are shopping, don’t forget to score yourself even more exclusive innisfree x Snoopy® gifts! Create yourself and be gorgeous! XOXO, Roanna. Disclaimer: Products were provided by innisfree Singapore for consideration. The above review is based on my true and honest opinion and experience, without influence from others or the brand. It contains information from the brand. I am NOT affiliated nor compensated.